These intelligent, amusing, practical and encouraging reflections relate the timeless insights of scripture to the daily ups and downs of the single life with skill, humour and sensitivity. Wise, inspirational and life-enhancing. 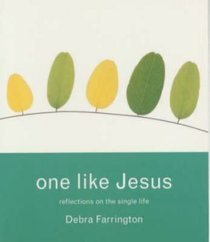 Debra K. Farrington, popular retreat leader and teacher, is also the publisher for Morehouse Publishing and the author of "Hearing with the Heart: A Gentle Guide to Discerning God's Will for Your Life," She has written for a wide variety of publications, including "Catholic Digest, Alive Now, The Lutheran, Publishers Weekly," and many others.ý You can reach her at www.debrafarrington.com.